​A healthier home promotes healthy living. Free from chemicals or toxins, Holz100 is 100% pure solid wood construction. Build a complete solid wood home that is dust-free and naturally protected against mold and condensation in less than half the time of a conventional wood frame house. ​Concentrations of VOCs are reportedly higher indoors than outdoors as a result of standard building materials, like paints, carpet fibres, wood preservatives, etc. that emit volatile organic compounds over the life of the product. Side effects may include irritation, headaches, loss of concentration, fatigue, etc. ​Because Holz100 is 100% wood, it does not emit any VOCs and improves health and living conditions. Holz100 is untreated, natural wood – this allows the wood to breathe and work to help regulate the indoor humidity levels; aiding people with respiratory sensitivity. Natural wood spaces have been known to slow ones heart rate, sooth ones mind, and relax the nervous system. Hear more from Holz100 Canada Inc. The integrated cross-lamination in a Holz100 system anchored by a dowel connection will provide you will passive house airtightness < 0.6 ACH@50 Pascal. ​Less air leakage means, less energy to condition the home which equals more savings on energy bills. Less air leakage means, better building performance with no condensation between the walls. Less air leakage also means a strong barrier against outdoor air pollutants or exhaust from vehicles. 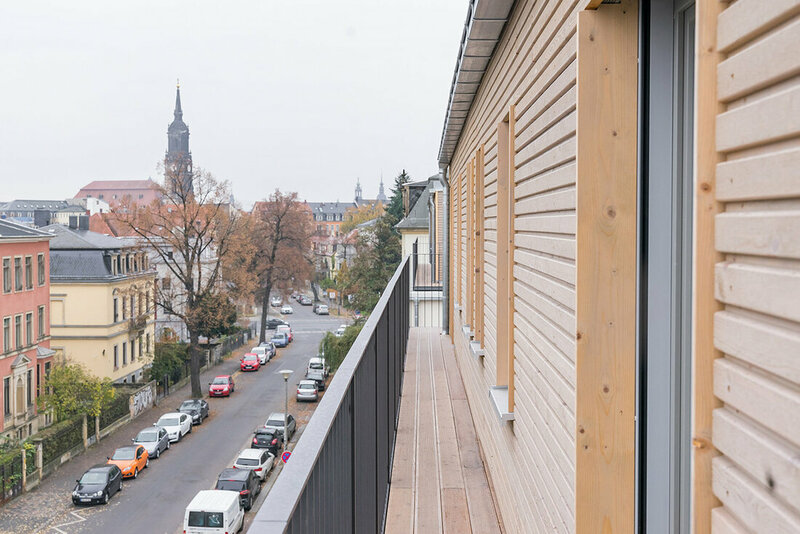 Holz100 is a homogenous building system. It is 100% pure solid wood, without the addition of glues, chemicals or adhesives. 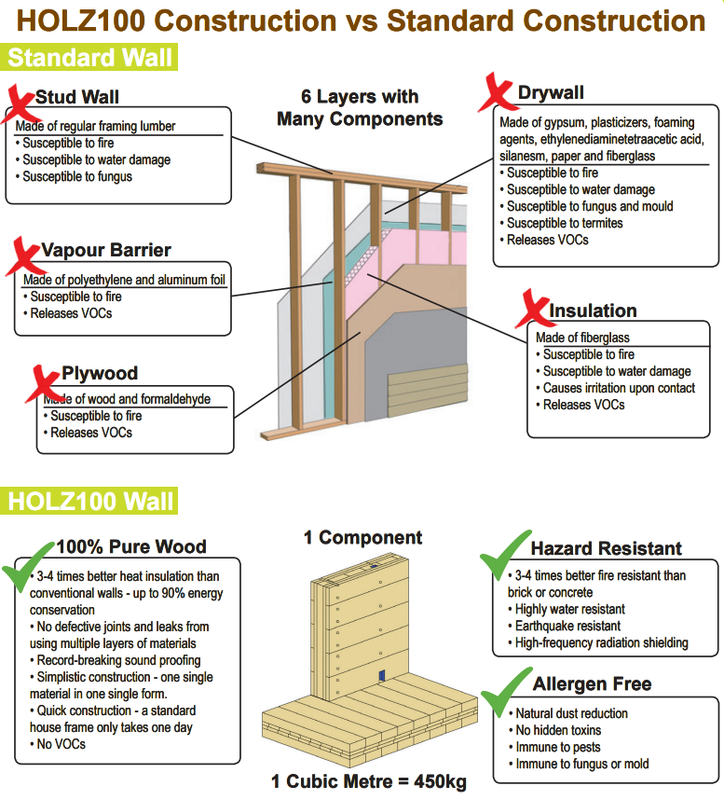 Gone are the days of conventional building with multiple layers of dry wall, vapour barrier, studs, batt insulation, plywood, weather barrier… Holz100 is an innovative product that is prefabricated using only wood. Delivered onsite, ready for assembly. There is no more need for the various trades needed to assemble the building structure. You can leave the interior unfinished or use a natural oil or beeswax to adjust the interior mood of the space to your liking. Holz100 is a no hassle, quick construction system that will have you wondering what to do with your extra time. ​A solid wood home built from Holz100 means the floors, interior walls are all untreated, structurally stable and connected only by compressed, kiln-dried beech wood dowels. The exterior walls are load-bearing, with additional milled grooves that provided plenty of thermal insulation and fire resistance. 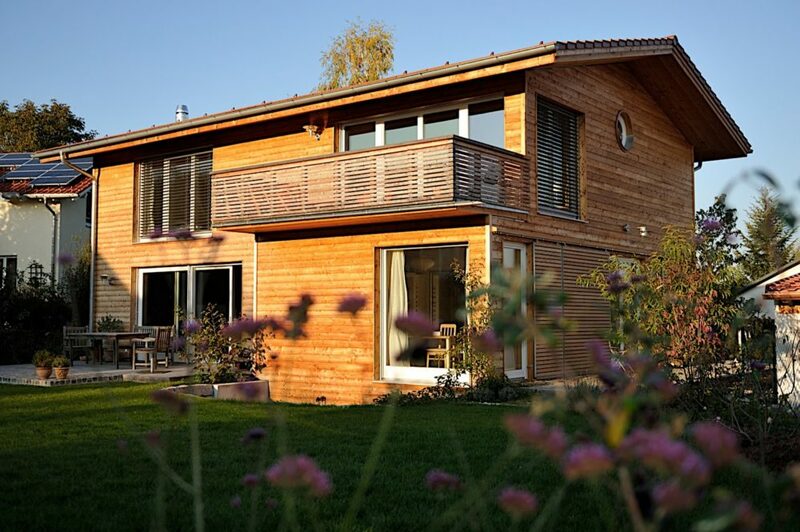 With toxic materials prohibited in the manufacturing of a Holz100 system, the whole house is a resource efficient product that minimizes its impact on the environment. Holz100 is a Gold Standard Cradle-to-Cradle product. Thinking about investing in a new home? ​Holz100 is a 100% pure wood building system with no chemicals, adhesives, or toxins. Holz100 elements are untreated and work to provide indoor air quality by filtering out air pollutants through its unique construction. Without the deliberate use of toxic materials, Holz100 systems are built to last and have a 50-year guarantee against mold and condensation. A laneway suite is a small house at the rear of a lot near the lane that serves to provide living accommodations at affordable market rates in Toronto and East York District. Laneway houses have been successful in Vancouver and was launched in August 2018 for Toronto. 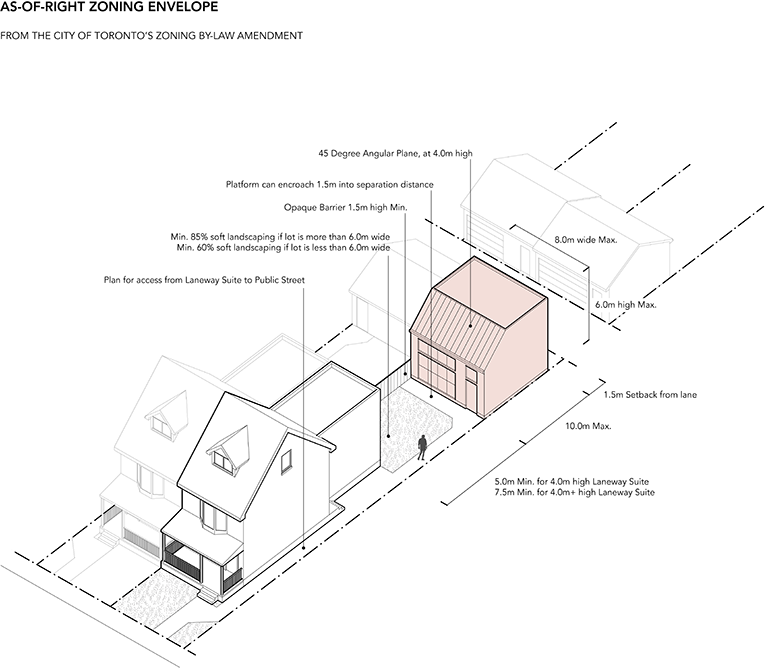 Wondering if your property qualifies to build a laneway suite? Let us help you build a laneway suite with Holz100. The safe and sustainable alternative to standard construction. Make an impression in your neighbourhood with a prefab Holz100 home. Build in a matter of days and save time for yourself and other important matters in life. 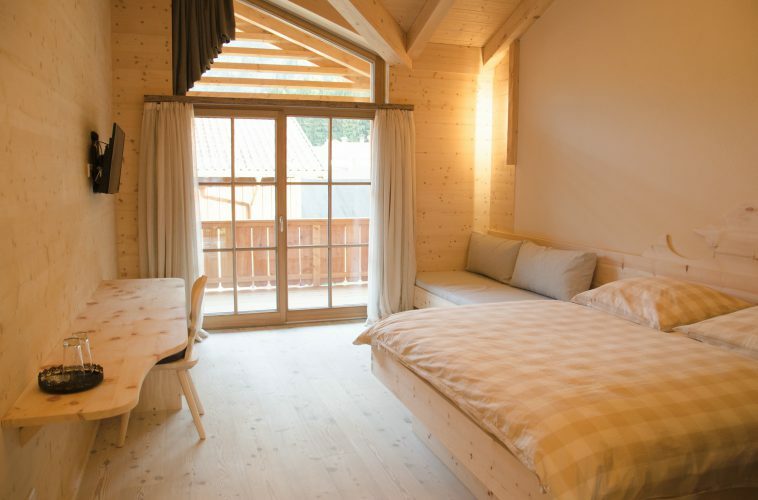 Holz100 system is manufactured from the highest quality moonwood, mature and durable – built to last; with guarantee against mold and condensation. Holz100 system is fitted with tongue and groove construction; each piece designed and tested to fit in factory before shipment with no waste on site. ​Warmth. Comfort. Relaxation. These three words describe how we feel on vacation. Embraced in Mother Nature, all our senses link us back to Earths elements. 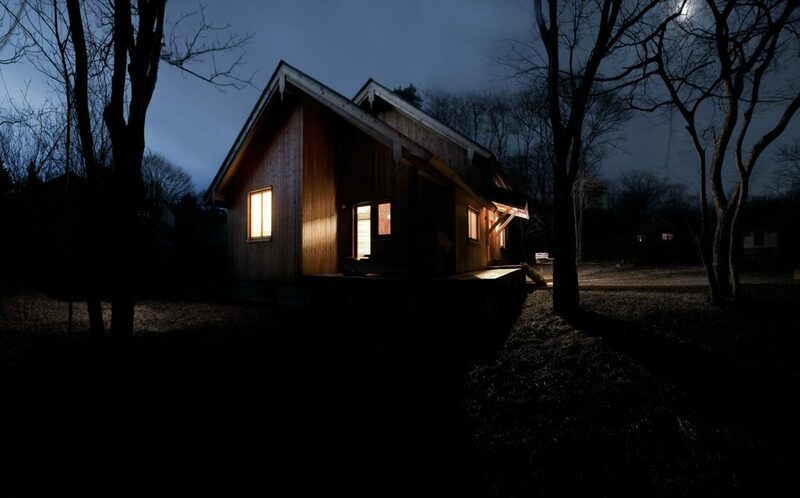 Anyone with trouble sleeping or sensitivity to dust and noise, can benefit from living in a Holz100 home. 100% pure solid would will let you breathe easy and sleep soundly. 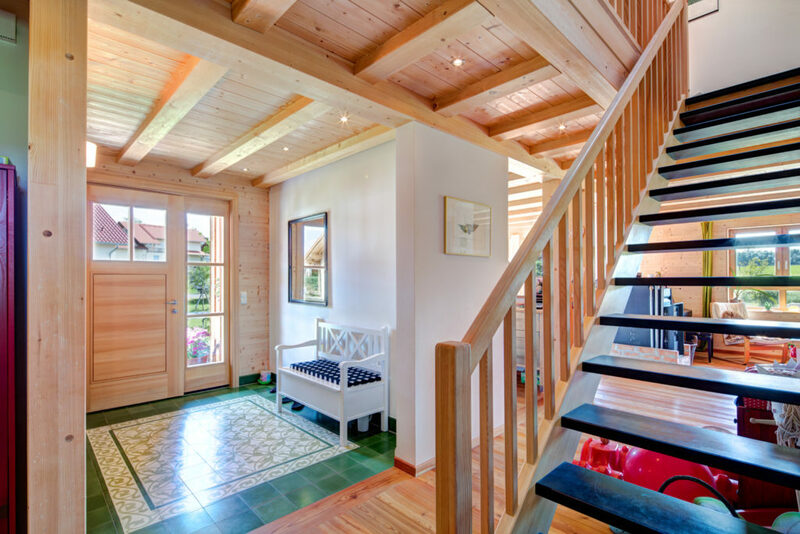 ​Families with allergies or asthma can benefit from building a solid wood home with Holz100. The chemically treated wood and toxins found in synthetic fibres can result in symptoms that will lead to severe health problems. Holz100 is 100% pure wood, with no toxins or chemicals. Its solid wood properties are a natural deterrent of dust and allergens. Breathe easy, breather stronger with Holz100. Why waste time on building a home the conventional way. Save time with Holz100. Build your custom home or laneway house in a few days NOT weeks or months with Holz100. Holz100 is a 1 component system compared to standard construction of at least 6-7 layers of building components. Remember the story of the three little pigs and the big bad wolf? The wolf blew down the straw house and the wood stick house; but left the brick house standing. Well, Holz100 is not made of wooden sticks, it is made of pure solid wood. Holz100 has been tested for earthquake resistance in Japan, where earthquakes have the highest levels of seismic intensity . The Holz100 house that was tested remained intact even under the most intense seismic load, and unfortunately could not be certified. The reason was, certification is only issued if the house falls apart at the tested seismic level. In order to past the earthquake resistance test and be granted certification, the Holz100 house had to be weakened by removing some of the wooden dowels that kept the house together. The highest safety class for earthquake resistance was eventually granted to Holz100 in Japan. In a geographic location where earthquakes and typhoons frequent with speeds up to 200km/hr, a concrete house is no longer stable after experiencing stress loads at that level. However, in a Holz100 house, the wood is flexible, it shifts with the wind loads but returns to its original form; remains stable and can be re-inhabited. Rest assured, the big bad wolf won’t blow this Holz100 house down. Trees live and breathe, they connect the air with the earth. ​Working with natural wood in ways where synthetic chemicals are not needed is possible with Holz100. Natural wood can last for hundreds of years. A Holz100 pure solid wood home can last lifetimes - and after its use, it can safety be returned to nature or reused. No waste. The Thoma Holz100 process consciously works with nature, to enrich, enliven and keep Mother Nature’s riches for the future generation. ​By embracing sustainability at its core, we can make multiple strides and open new laneways to construction innovation and the built environment. ​The building initiative to allowing laneway houses in Toronto has been advocated by architects and planners for years. It is a movement towards creating a safer space along narrow laneways that have been muddled with graffiti and unwanted possessions. This year is your chance to join the movement in not just building another ordinary home; but creating a third space in your backyard that embraces green initiatives within the community. ​Holz100 is a safe product. It is non-toxic and chemical free. It is a breathable, living system that helps improve the indoor air quality. 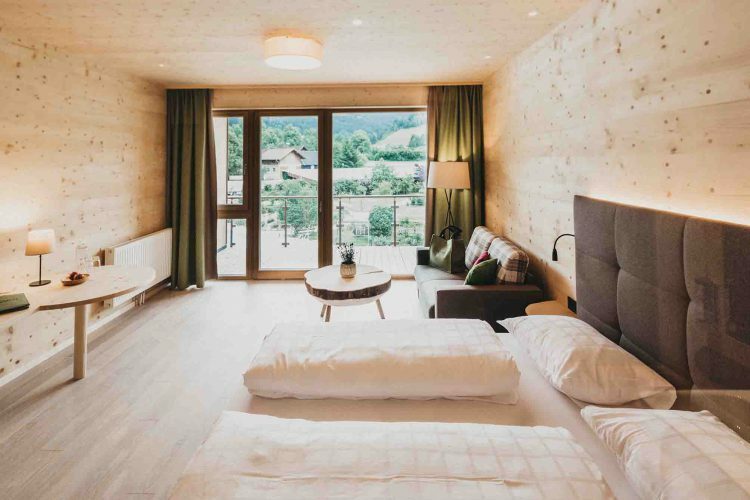 Holz100 moonwood has a massive heat storage and is able to supply ambient heating and cooling throughout the year, thereby reducing energy costs by up to 90%. ​Choosing to build with Holz100 means choosing to build a more sustainable future. Worried about the fire safety of building a wooden laneway house? 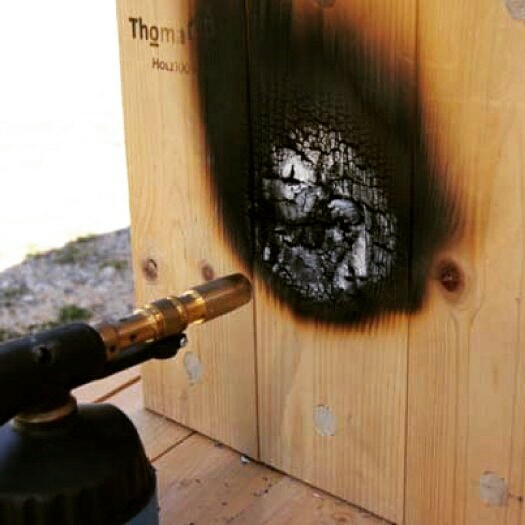 Holz100 has been flame-tested at 1000 degrees Celsius for 90 minutes, the hottest spot on the other side of the wall was only 2 degrees higher. When it comes to fire safety, compared to reinforced concrete walls which showed areas that reached +400 degrees Celsius, you can be assured that a wood home is safer than a concrete home. Because Holz100 is solid wood, it absorbs or dissipates heat which helps exhaust flames. Without chemicals or toxins, there is no added fuel for the flame either. ​ Holz100 is the safest and healthiest option for building a wooden home that will stand to last a lifetime. ​Building a Holz100 laneway house not only allows you to build quickly, it will increase the safety and sustainability value of your property. Holz100 homes have been tested for fire safety. Under 1000 degrees Celsius for 90 minutes, the opposite side of the Holz100 wall system increased by only 2 degrees, the wall core was still intact. A quality build is a safe build with Holz100. Hear more about Holz100 Canada Inc.
​Holz100 is a pure solid wood product that will last a lifetime. It is guaranteed 50 years against mold and condensation. Because it is a natural breathable product, there is little to no maintenance. 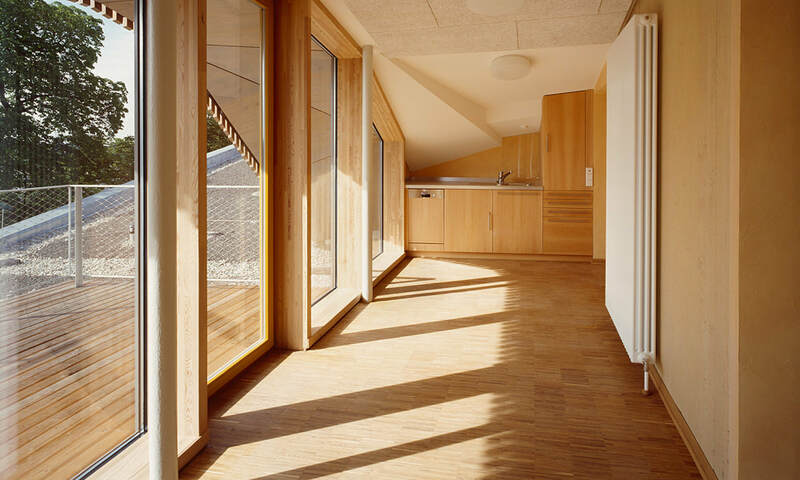 For those who wish for a slightly elevated look in their Holz100 laneway house, natural products such a beeswax or a natural oil can be applied to the surface of the wood. ​In the Holz100 factory the moonwood is cut and stacked vertically, diagonally, and horizontally to withstand shear force and provide structural stability. The pieces are mechanically and hydraulically infused with compressed and kiln-dried beech wood dowels. As the dowels swell up and absorb the water around it, it creates a lock and seal between the layers of stack wood without the use of glues or toxic adhesives. Building a laneway house with Holz100 means building a home this was manufactured using natural engineered methods that will provide the best building performance efficiency for your home. Green wood is not good. Moonwood is select wood harvested at the right time during the lunar phase, resulting in more stable and durable wood - made to last. Building a home or laneway house from Holz100 moonwood means the wood was naturally dried and exposed to all weather conditions. The moonwood is mature timber that was allowed to drain with the natural forces of gravity to ensure the least amount of moisture is retained. This method ensures the wood is stable and has the natural advantage to fend off inspects and fungus because there is no longer any nutrients or sap to feast on. It’s good to be green but don’t build with green wood – make it moonwood with Holz100. ​With a green thumb already in the garden, why not take a further step towards sustainability by building a laneway house from a gold standard, cradle-to cradle, sustainable product such as Holz100. Holz100 is a zero carbon product. 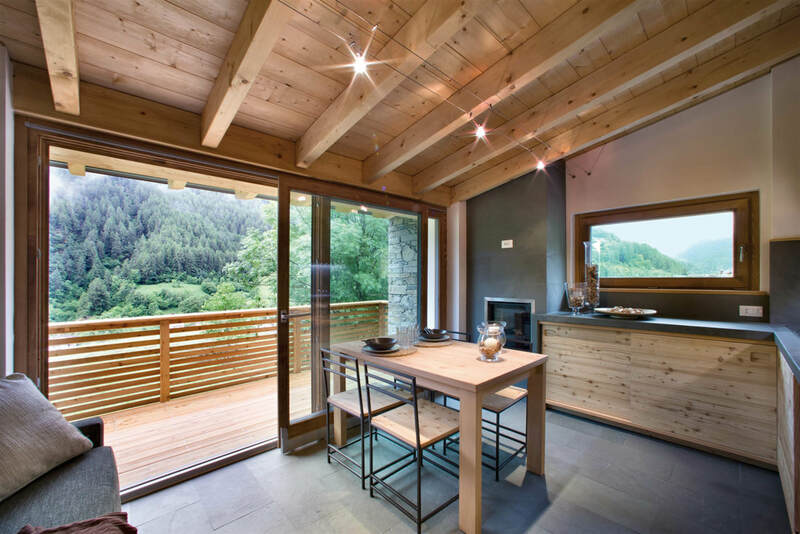 Holz100 is made from sustainable forests in the Alps. The timber is special for the harvesting time and method which we call moonwood. Moonwood is a dense and durable wood that is more resilient to insects because there is no nutrient flowing within the trees. ​Consider the laneway house an extension of the home. In Toronto, it is required to have a landscaped area of at least 5 meters to 7.5 meters between the main house and the new laneway suite. This is the perfect opportunity to invest in a laneway suite that will transform your existing single garage shed to be a more appealing and inviting space. By building a laneway house with Holz100, a pure solid wood system, not only will you be providing another home for someone in your neighbourhood, you will be taking a step towards sustainable development. ​My laneway house will be a pure solid wood Holz100 system. It will be energy efficient. It will be soundproof. It will provide me with thermal comfort and the best indoor air quality. I will have better sleep with radiation protection from my solid wood home. My laneway house will be a Holz100 system that can adapt to my changing needs. It will save me time and energy. It will provide me with fire protection and will last. Holz100 is my natural solid wood home. ​If you are planning to invest in a laneway house, why not make it of quality and long-lasting materials. Holz100 homes are made of the finest quality of moonwood timber, mature trees that are harvested when the sap levels are low, therefore producing the most durable and structurally stable wood. Because of the harvesting method of Holz100, a home built with our solid wood system is guaranteed against mold and fungus growth. ​Small but beautiful. A laneway house built of solid wood construction with Hoilz100 is a sustainable, cradle-to-cradle structure. The system is built by hydraulically infusing dry-compressed dowels into cross-laminated moonwood. There are no toxins or glues used in the manufacturing process. The walls are prefabricated and can be reused later on in life as a new structure or ultimately returned to the earth, providing nutrients for more trees to grow. ​Protect yourself from the natural elements by building with Holz100. A laneway house is an extra built form in the rear of a property. Why not make it a structure that will last and is simple in its construction. Save time and delays with a Holz100 prefab home. ​Build a laneway suite that can move with you and embraces the natural protective properties of nature with a Hozl100 system. Holz100 is pure solid wood, prefabricated to your design specifications and can be also be designed to be mobile.